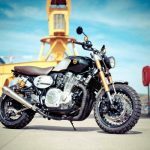 The Yamaha XJR1300 is one of those machines we can’t put a clear label on. Yes, they look like a naked bike but they have an engine with superbike specs between the two wheels. 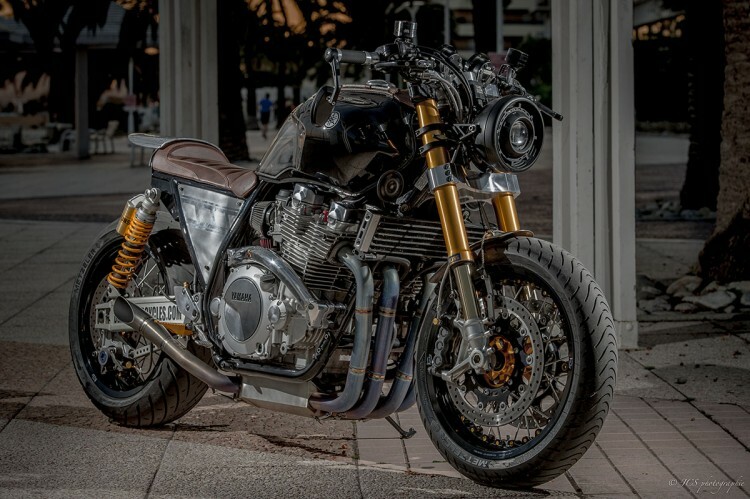 We also know that XJR’s are a great base for customization (like this XJR1300 Cafe Racer). In stock trim, it’s a quite heavy machine with a wet weight of around 240kg. 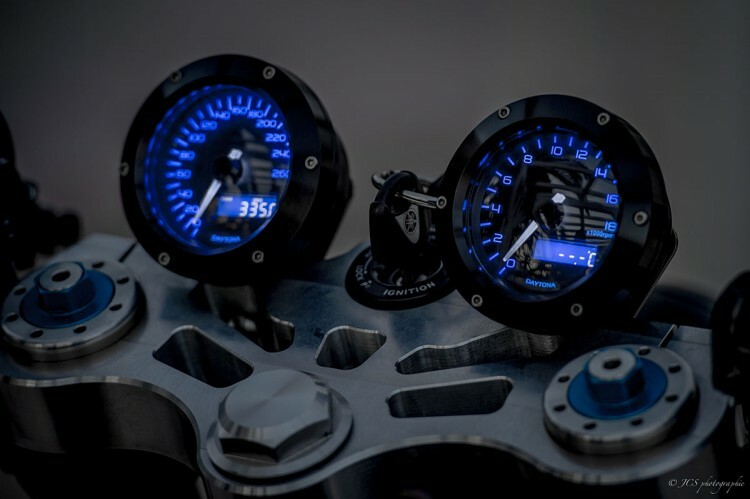 The air-cooled 1251cc 4 inline puts out a pretty 106hp and delivers 98Nm of torque. Powerful, but a bit bulky to be honest. Combine this with a passive riding position and you have an easy cruiser with a lot of power reserve. 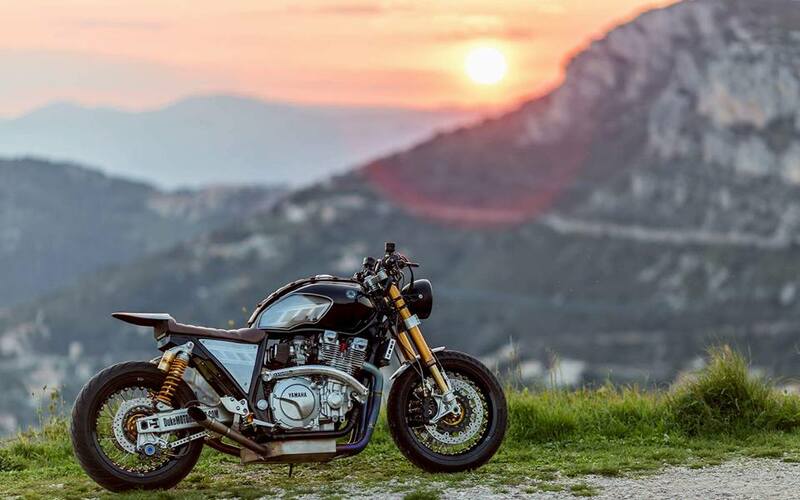 This XJR1300 Brat was sent in by Lionel from Duke Motorcycle, based in a small village near Nice, France. Lionel is a professional builder, specialized in cafe racers, brats, and scramblers. Lionel works on motorized two and four wheelers for over 20 years. 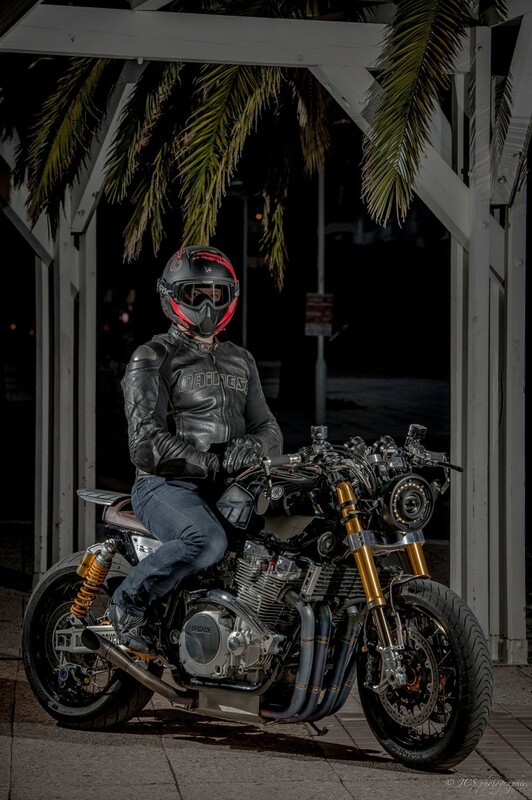 4 years ago he started Duke Motorcycle to focus completely on customizing bikes. 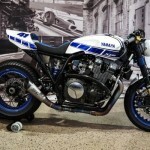 His workshop is pretty basic and this is “to keep the cafe racer spirit in mind”. He likes working on steel and designs and manufactures most of the parts himself. One of the many heard issues with the XRJ1300 is that the (front) suspension and brakes are a bit underpowered, so Lionel started with some serious upgrades here. The stock telescopic fork has been replaced with a Öhlins USD fork from a Yamaha MT-01SP to align with the stock Ohlins rear shocks. Together with that new fork, the braking system also got a serious upgrade on the fly with a complete Brembo setup. 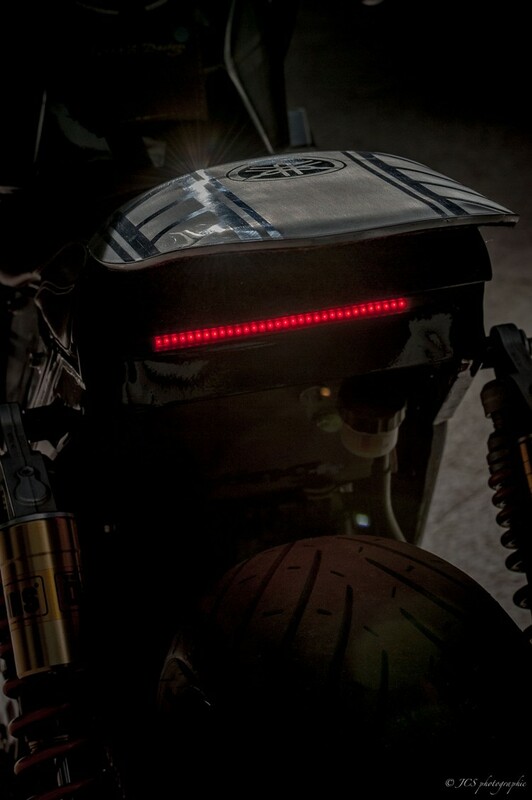 For a more active riding position, he placed a set of ABM Multiclip clip-ons which are a bit higher than regular cafe racer style clip-ons and a bit lower than a wide superbike handlebar. The front end was finished with a big LED headlight and a couple of Daytona gauges. 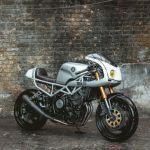 In terms of styling, Lionel crafted a range of parts: he modified the gas tank, placed a classic Monza cap, built a new battery holder, front mudguard, side panels and gave the bike a new paint job. To add some more stiffness in the frame, it’s been reinforced at some points by OVER Racing. 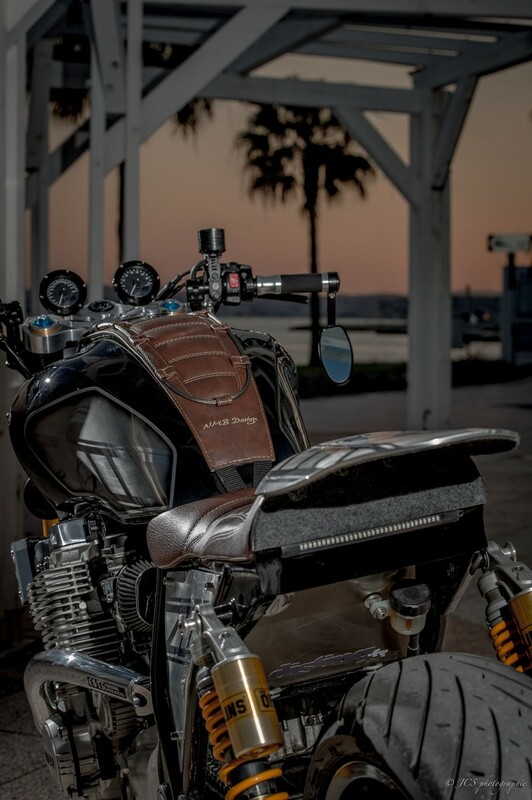 The single seat, which is a bit between a brat and a cafe racer is designed and crafted by NMB Design. To give the bike an authentic look, Lionel places a beautiful set of Kineo wheels. 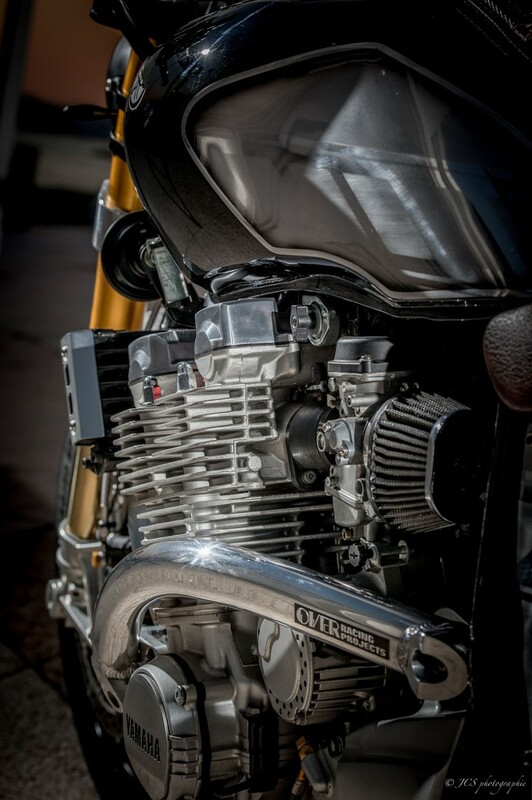 The stock airbox was replaced by a K&N filter together with the intake of a FJ1100. 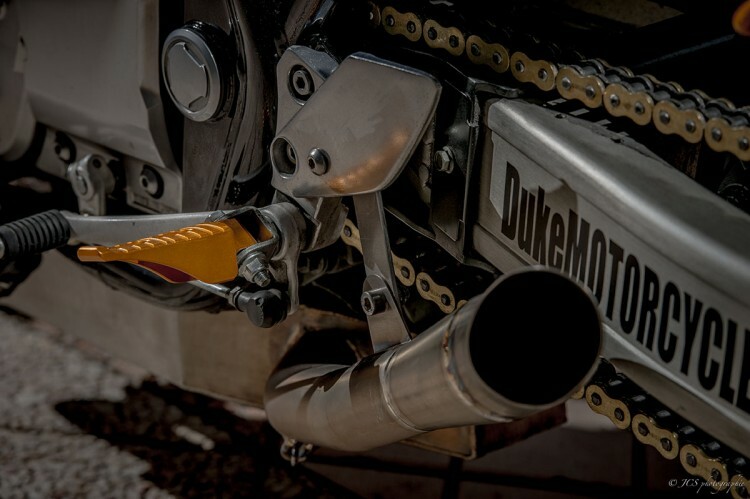 The exhaust system is also custom made out of titanium and stainless steel. To align this, the carburation got a Dynojet stage 2 & 3 upgrade. Mi piacerebbe avere una moto così fantastica, come si può fare? Dove si possono trovare i dati del produttore?